Shares in the newly-listed real estate group McGrath have been pummelled after the company announced a profit downgrade, just five months after listing. 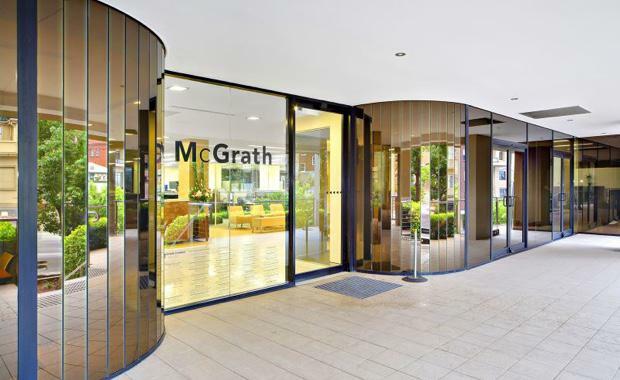 After going into a trading halt on Friday, McGrath today released an announcement to the ASX saying it had continued to experience an unforeseen low volume of listings and sales in the first half of April, particularly in the North and North Western suburbs of Sydney. On the basis of the current quarter’s listings trend (assuming there is no improvement in listings volumes) and current market conditions, McGrath expects to generate FY16 revenue in the range of $136 million to $140 million, and pro forma EBITDA in the range of $26 million to $27 million, about $5 million lower than expected. The company's shares fell by as much as 34 per cent in early trade to a low of 86c per share. The shares closed at 90.5c, less than half of the $2.10 initial offer price the company was floated at in December. "As flagged at the end of the half year, current conditions remain challenging in certain market segments and with listings and sales volumes not expected to materially change in the near term, McGrath has accordingly adjusted its expectations for sales volumes and values for the last quarter of FY16," the company said. Listings in the company owned offices acquired from the Smollen Group (located in North and North Western Sydney) are now expected to be 25% to 30% lower in the final quarter of FY16 than was expected for this period when the Prospectus forecast was prepared. EBITDA was 1% above budget.